Junior’s Band performs a unique combination of mainstream pop songs by artists such as Dua Lipa and Calvin Harris with Tropical-hip rhythms underneath. The music movement (DOYO – Dance on your own) engages audiences in dancing freely and creating their own dance moves based on the vivacious feeling provoked by the music. 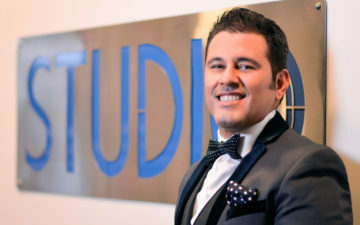 With many years of experience making people dance, more than 1000 events nationally and internationally, it is no surprise that Junior is always coming up with something new and exciting. Junior began the DOYO Music Movement inception in Houston, Texas. Junior’s Band was performing Paris by Chainsmokers at a private event, and Junior came up with the brilliant idea to play a merengue-hip rhythm underneath the song – and the crowd went wild. This is DOYO – Dance On Your Own. D.O.Y.O. means Dance On Your Own: you can dance freely with any dancing patterns and chant your favorite mainstream songs/top 40s as you can watch in the Videos. 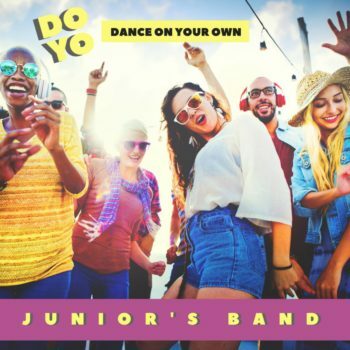 Junior’s Band can also play 21 other music genres in up to 9 different languages like no-other with an available playlist with more than 5000 songs to delight any demographics if needed aside from D.O.Y.O. Junior’s Band is currently an endorsed Artist/Band by Ferrecci, Italy. There are 12 different colors of Velvet Tuxedo Jackets to match perfectly with your overall decor and ambiance look for your private event. DANCE ON YOUR OWN has grown quickly and expanded with over 300,000 followers on Social Media. A MUSICAL MOVEMENT, DOYO has a yearly live audience of over 100,000 people due to Junior’s Band Performances (over 40 per year) and local/international DJ collaborations. You can enjoy NOW Junior’s Band songs on Spotify & Apple Music. A set of many tracks will be constantly added infused with Tropical-hip rhythms that will blow you away by the richness of its sound and rhythms.